Son of Thomas and Elisabeth Blewitt, of Coseley. Grave/Memorial Reference: II. B. 18. Son of Edward and Ethel Clamp, of Upper Ettingshall, Bilston. Grave/Memorial Reference: Plot 1. Row A. Grave 11. Grave/Memorial Reference: Panel 8, Column 1. Son of Allen and Ada Louisa Hackford, of Coseley, Staffordshire. Grave Reference: 4. F. 4. Grave Reference: 51. A. 4. Son of Henry Rupert and Millicent May Horton, of Wolverhampton. Grave Reference: III, G, 10. 161 Squadron RAFVR. Special Operations Executive. Joseph was born in Coseley 23rd June 1921. Son of Clifford and Sarah Jane Nicholls. Killed in Action 9th August 1944 aged 23. Joseph's aircraft were shot down while on a S.O.E. mission delivering ammunition to the French Resistance. 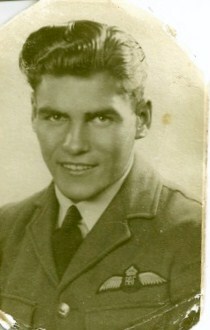 He flew in a Halifax bomber registration number V LL358 MA-Y out of RAF Tempsford Bedfordshire 2353 hours on the night of the 8th August. All the crew were killed, they are buried alongside each other. Picture and additional information provided with grateful thanks by Joseph's sister Doris. Son of Robert A. Oseland and Mary E. Oseland, of Coseley. Grave Reference: 13. A. 2. Son of Mr. and Mrs. Thomas Pruden, of Coseley. Son of Ah and Eve Sang, of Tipton. Son of Titus and Florence Turner, of Hurst Hill. Grave Reference: I. D. 28. Son of Sidney Leonard and Esther Florence Waterhouse,of Coseley. Son of Arthur and Ruth Williams, of Daisy Bank, Staffordshire. Grave Reference: 2. E. 10.